Yesterday morning I ventured out early to the Mullumbimby Farmers’ Markets. One of the joys of market shopping is that you never know what produce will be offered or what you might bring home. In my basket ended up some celery, mixed lettuce, local cheddar, a jar of local honey, and some sweet firm tomatoes. It became a busy day – my lovely assistant Nicki came to visit at my farm, and we spent the morning sorting through crystals. By lunch we were famished. 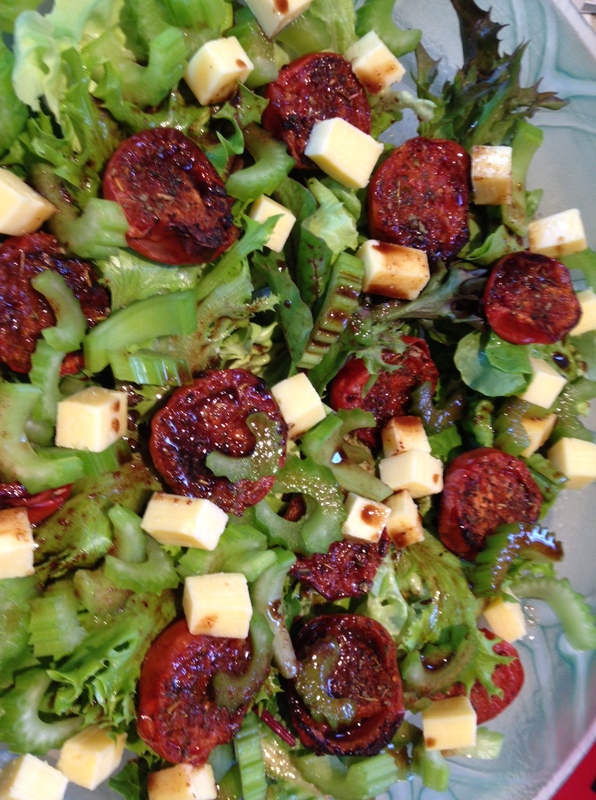 I needed quick food that was tasty and satisfying – a barbeque and salad! The barbeque part was easy – we threw some lamb chops on the hot plate. And the salad? Elevated to something special with just a few minutes work, using my basket of fresh produce! I used sumac in the dressing because it gives such a refreshing lemony zing. 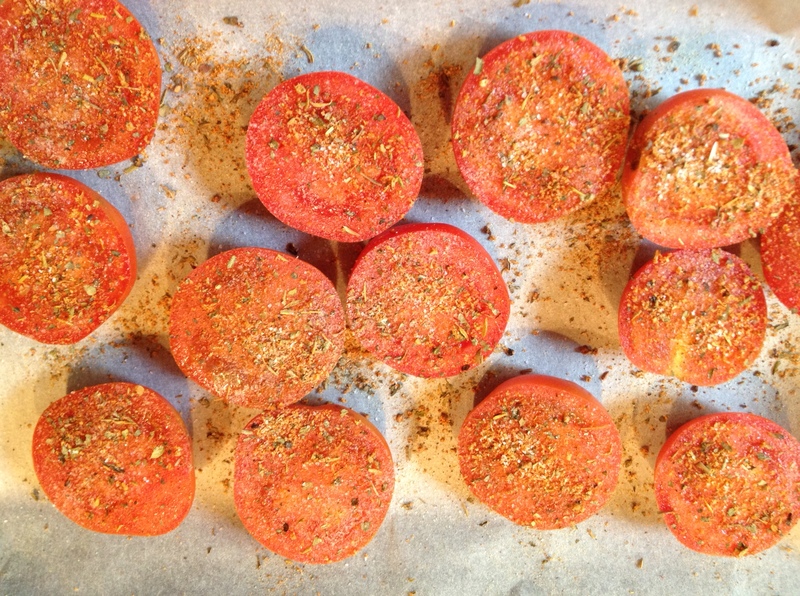 If you don’t have sumac, add a shake of paprika or smoked paprika and a little lemon zest instead. 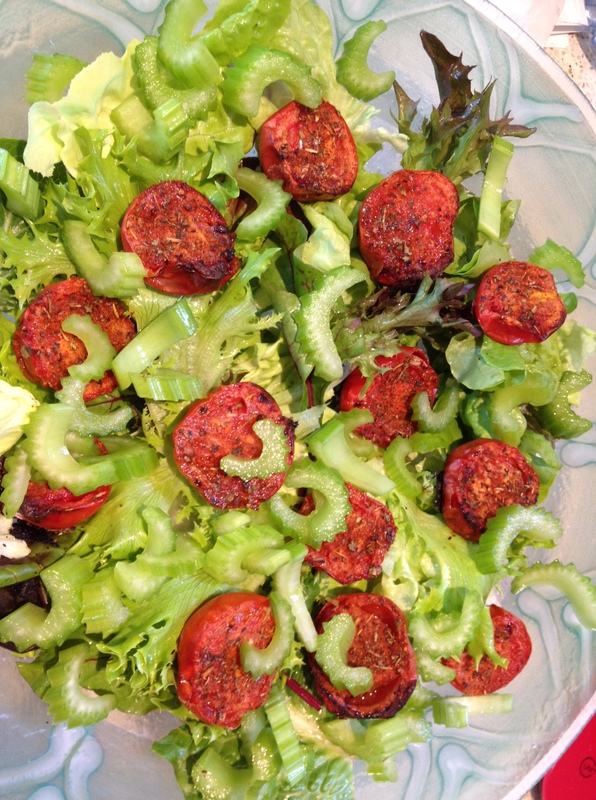 Firm ripe tomatoes, salt and pepper and a spice or herb of your choice (I used cajun herbs), olive oil spray, lettuce, celery, some good cheese. 1 tablespoon of balsamic vinegar, 1 tablespoon of olive oil, salt and pepper to taste, 1 teaspoon sumac, 1 teaspoon honey – Put into a lidded jar and shake like mad for a minute until combined. Taste and adjust seasoning if necessary. 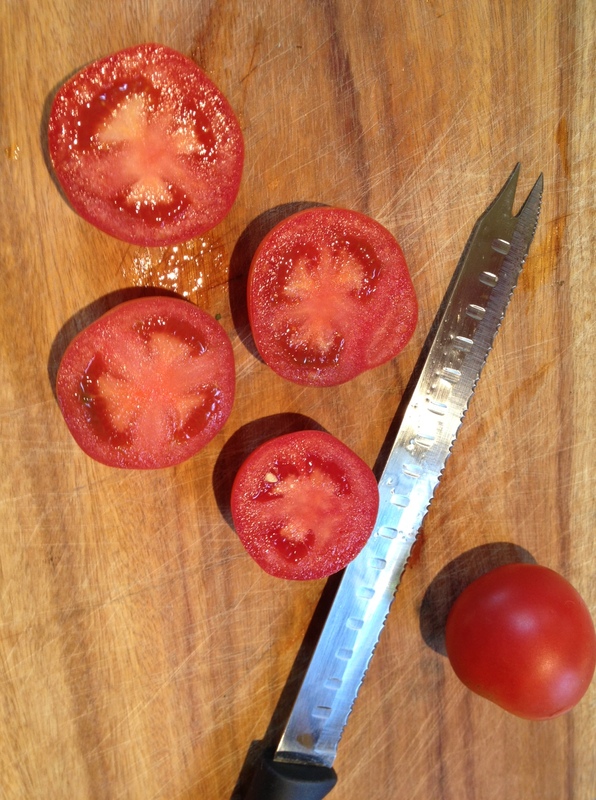 Slice your tomatoes and arrange on a sheet of non-stick paper for easy clean up. Spray or brush lightly with olive oil and then sprinkle your seasoning on, and a little salt and pepper. Place into a very hot oven for fifteen minutes. 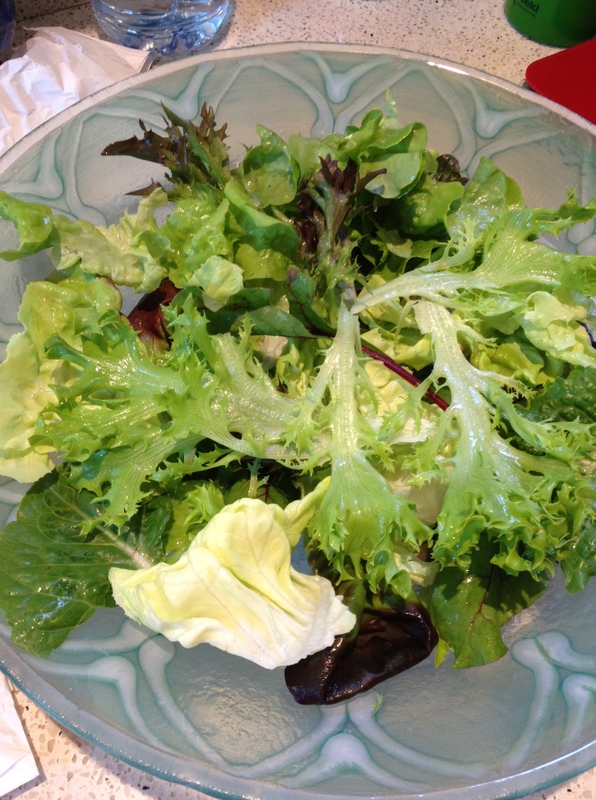 Tear up your clean lettuce and place into a bowl. Chop celery and cheese, and make dressing while you wait for the tomatoes to roast. Snack on some celery and cheese – what a winning combination. 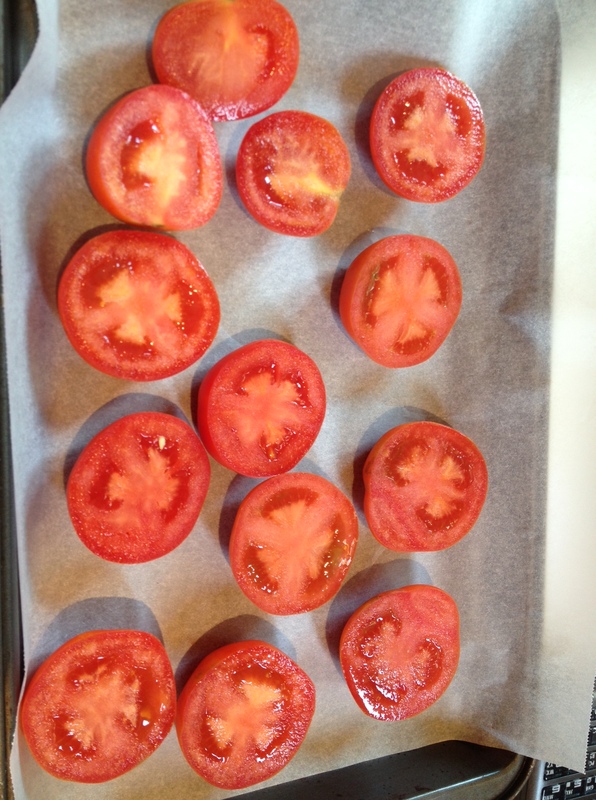 Remove tomatoes from oven. Place on salad leaves. Throw the celery and cheese on as well. Give the dressing one last shake and pour over the top. Serve and enjoy. 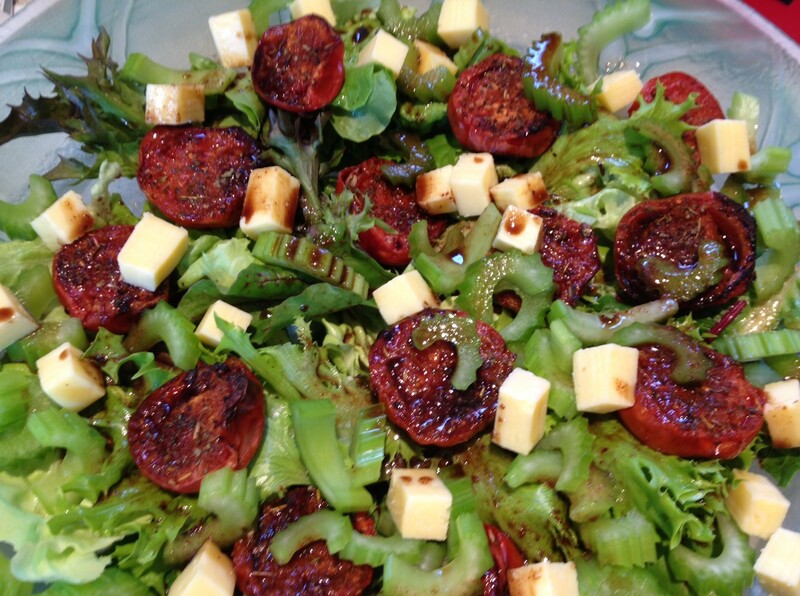 This salad would be great on its own with crusty bread, or as a tasty side for grilled meats, roasts, or rich foods. Vegans, this tastes just as good minus the cheese! If I was going to veganise this, I’d add some lightly toasted walnuts instead. This last picture proves that the salad was indeed fast, and made with a minimum of fuss in a kitchen entirely devoted to a higher purpose… LOL! This entry was posted in Crystals and stones, Fast and Fabulous!, Gluten-free, Salads, Vegetarian/Vegan and tagged dinner, easy balsamic dressing, farmers' markets salad, five minute cooking, food, gluten-free dressing, gluten-free recipe, gluten-free salad, quick tasty salad, ripe tomatoes, roasted tomato recipe, salad, sumac dressing, vegan salad recipe, vegetarian, vegetarian salad recipe by Cauldrons and Cupcakes. Bookmark the permalink. 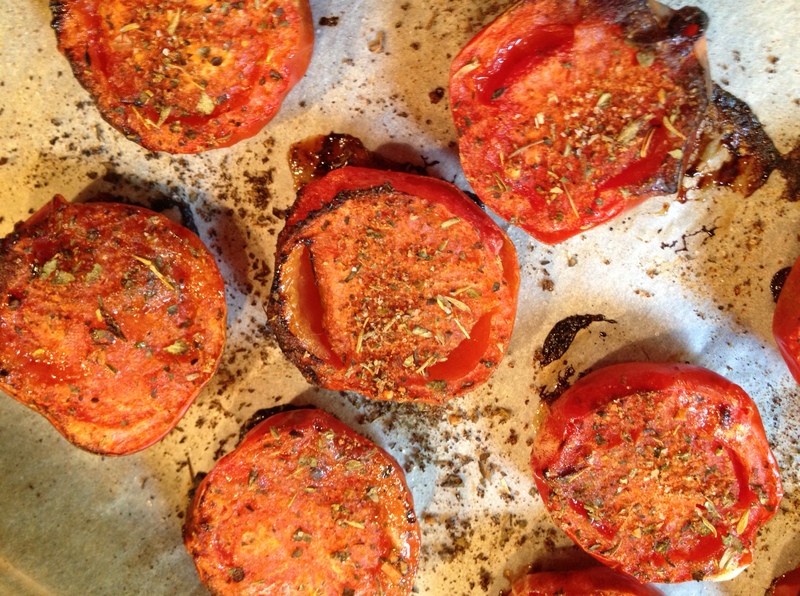 Some wonderful ingredients in there and those roasted tomatoes sound delicious! 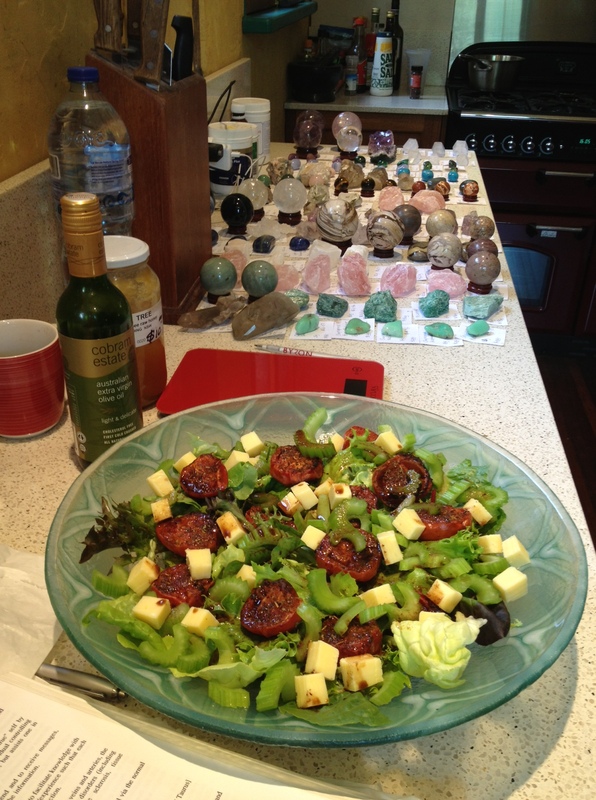 Not sure which I like the look of most – the crystals or the salad. Yum! I was going to make Chicken Tomato soup tonight (fall time here) but I think we’ll go with this salad and some grilled chicken instead! 😉 thanks Doll! sounds good, but what is sumac? Yum yum thanks Nicole, I’ll make this salad tomorrow for the crowd I have coming for lunch. Looks like a hit to me! Thanks for this recipe! Just the ticket. I know what lunch is today!